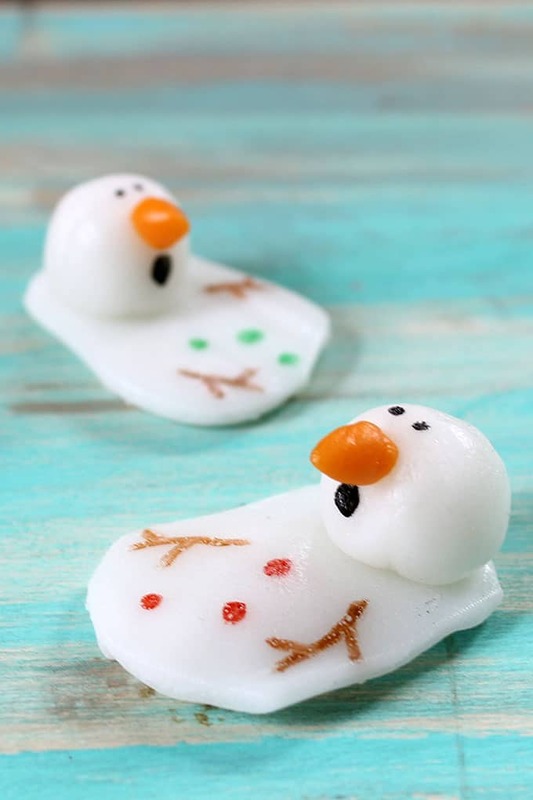 Melting snowman candy with Airheads, a sweet treat for Christmas or Winter. 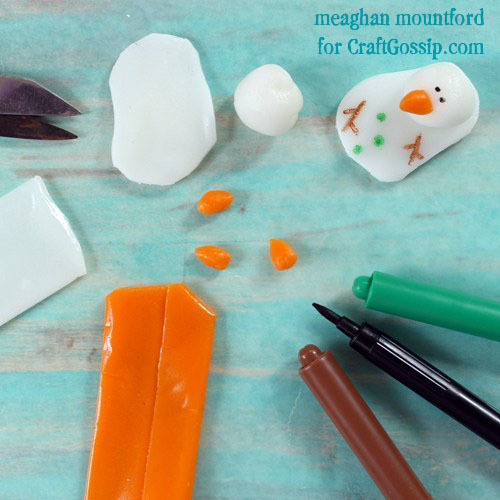 Making melting snowman candy is easy if you use store-bought Airheads candy. 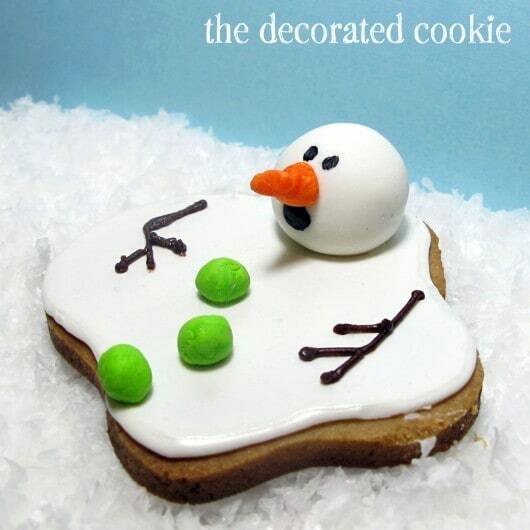 I needn’t bore you yet again with my dramatic woe-is-me about having invented the melting snowman cookie back in 2008 (affectionately named Mr. Melty), and then watching him go viral on the internet, having some unpleasant exchanges with those who feel no need to give credit, and then seeing Mr. Melty in national magazines and earning others fame and fortune. OK, maybe not fortune, but definitely fame. Nah, I won’t bore you yet again. Oh wait, I just did. Alas, move on, Meaghan! So I did, with melting snowman candy, thanks to Airheads. 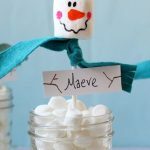 Need more melting snowmen? 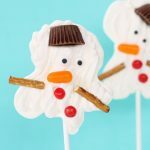 Try these easy melted snowman cookies or these melted snowman candy pops. Anyway… Airheads candies. 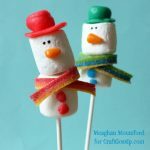 Airheads sent me a box of sweets, so I made some melting snowmen made entirely out of Airheads candy. Easy peasy. 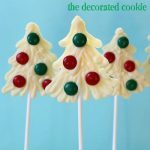 You can also just use the Airheads for the head and stick with the classic cookie bottom. 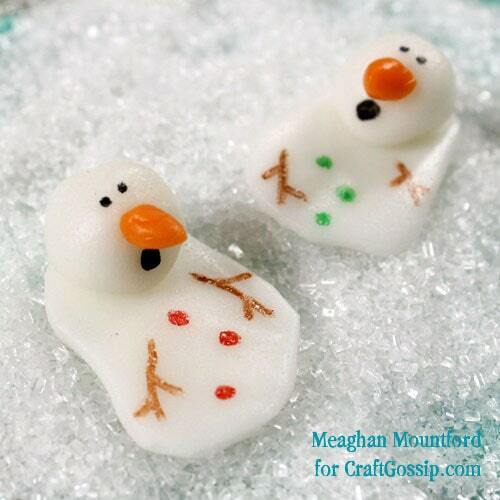 These melting snowman candies also appeared on Craft Gossip. *Find the food coloring pens in the craft store or online. Snip about an inch off of a White Airheads Bar. Roll into a ball. If necessary, microwave for just a few seconds to make the candy easy to roll. From the remaining candy, cut out a wavy circle. Snip a bit off of an Orange Airheads Bar, and pinch into a cone. Smush the white ball on top of the white circle, then smush the orange cone onto the white ball. If needed, add a dab of light corn syrup to help the candy stick, but the candy should stick on its own. With food coloring pens, draw the face, stick arms and buttons. haha These are still as cute as ever! I love it, your Mr. Melty reinvented! So cute! They are too funny…. Love them! Really cute- nice reinvention of your original. I have to say- Even I’ve gotten a bit annoyed seeing Mr. Melty in mags that don’t credit you… can only imagine how frustrating it is for you. Just wanted to mention I saw a do it yourself kit in Target today that looked just like the cookie you made. I thought of your cookie as soon as I saw it. This would be a great idea for a room mom to use for a party that uses ‘stations’–but make sure to credit the original creator! Love that idea Ana Mary! Easy for kids to do and the supplies are easy to get.